WHY SHOULD I GIVE UP SUGAR? The American Heart Association recommends no more than 6 teaspoons of added sugar a day for women. But the average American consumes a whopping 20-50 teaspoons a day! Your brain loves sugar and it is addictive. Sugar creates cravings. When your blood sugar rises, you feel awesome. Your taste buds are excited, your dopamine is rising and you feel elated. Then, your body uses that fuel - fast - and you crash. Your body craves the same thing all over again. It becomes a vicious cycle. If you need more incentive, sugar causes spare-tire weight gain, acne, brain fog, sleeping troubles, aches and pains, inflammation, and so much more. Read more on the 99 Walks blog. Together, we will detox from sugar, cutting it from our diets for six days. The goal is to consume no added sugar of any kind, including natural forms like honey and syrup or sugar marketed at healthy like agave and coconut sugar. This also includes foods where the sugar has been condensed like dried fruit. Use the list of different names for sugar (at the bottom of this page) when reading ingredient lists and recipes. 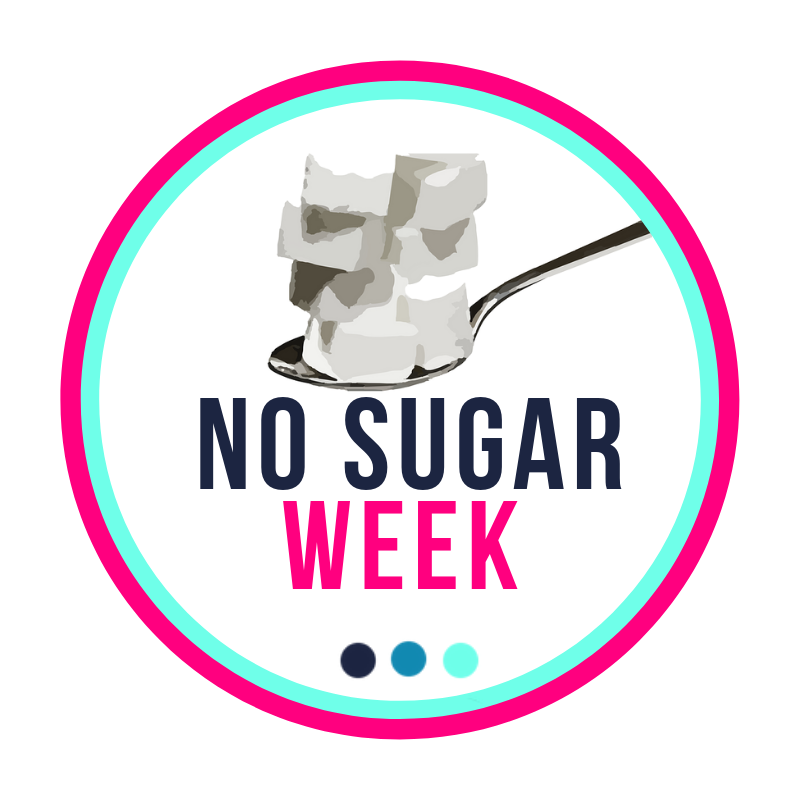 There are three different levels to no sugar week. Choose what makes you feel comfortable. This is a list of common items that people don’t think about added sugars. The #1 rule is to real labels. It is possible to find many of these items without added sugar. Jenny has been on a health journey since high school. As a competitive athlete, there was a lot of eat-this-not-that and a lot of you-should-look-like-this-not-that. None of this jived with her and it sent her into a swirl of health problems including excessive weight gain, chronic migraines, debilitating menstrual cramps and embarrassing acne. After her second child was born in 2010, she took a dive into health education, found a lifestyle that worked for her and then became interested in educating and supporting others. In 2015 she graduated with the Institute for Integrative Nutrition as a Holistic Health Coach and has been helping clients find a lifestyle that works for them, all while still exploring her own wellness journey. Jenny will be leading our 99 Walks no-sugar challenge. Learn more about Jenny and the programs she offers on her website, Fuel Your Hunger. Read the ingredient list, not the nutrition facts. 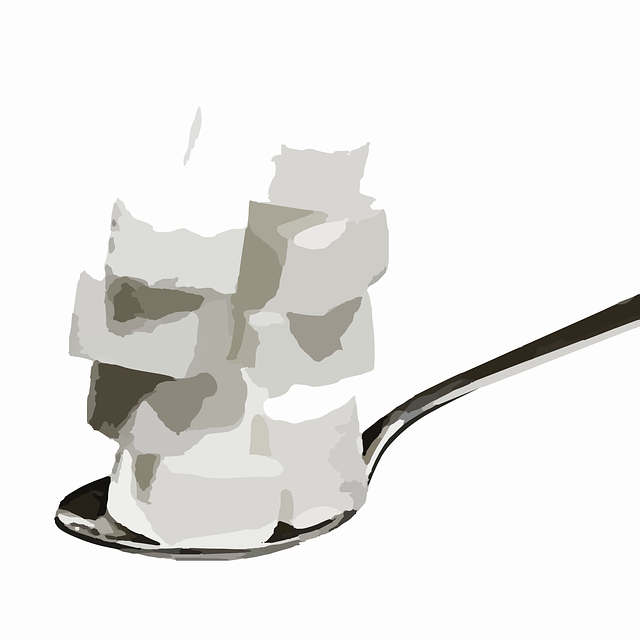 Sugar substitutes usually end in -itol (such as sorbitol). These don’t raise blood sugars but are highly addicting. Be patient reading labels. You’ll find the brands that work for you!